Robot nannies are now a thing! Moms can order robot nannies to help care for their babies and they are now starting to appear in the United States. Currently used by moms in Japan and China robot nannies are a hit! Would you allow a robot nanny to care for your baby? According to an article in Forbes these robots are considered "companion robots." The price tage for the robots can vary and current makes like the Kuri Home Robot or the iPal are capable of entertainment and surveillance. The iPal robot is curently being upgraded and will soon be able to speak and directly interact with humans. Daycare in the United States can range from $10,000 upward of $30,000. Comparing the cost of the Kuri alone at $700 the robot nanny seems very appealing. But there is still a lot more work to do. These robots are more like high tech nanny cams. 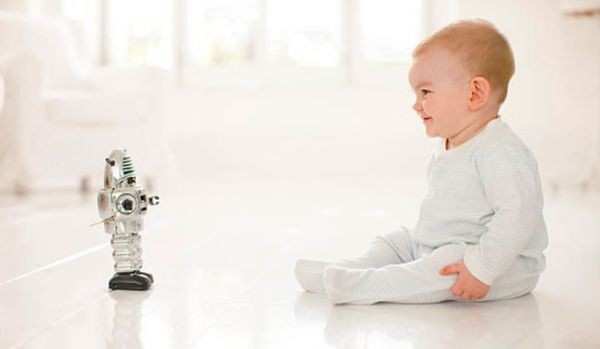 So if you are at home with the baby cooking or cleaning in the next room, your baby can be left in the next room with the nanny robot to be entertained and watched. It also cannot pick up items or remember cause and effect. So if you ask the robot to read to your child because she is unhappy the current models cannot duplicate this directive without instruction if the baby is unhappy in a seperate situation. There is still a lot of work to be done in the world of artificial intelligence but there is a lot of hope for future developments and improvements on current models. We wouldn't be surprised if they've mastered a fully interactive robot in the next 10 years!